Yes, that Savoy Brown. Legendary British blues rockers you’d know mostly from the ’60s and ’70s, though they’ve been releasing music pretty steadily ever since. And by they, I mean Kim Simmonds and whoever is in the band with him, as he has churned through a significant number of bandmates through the years under the moniker Savoy Brown; Pat Desalvo (bass) and Garnet Grimm (drums) have been Kim’s bandmates since 2009. Through the years, though, Kim’s bluesy guitar wail and bluesy vocals have been a constant, while his list of former Savoy Brown colleagues is impressive in both quantity and quality. That telltale axework doesn’t take long to appear on Witchy Feelin’, as first track “Why Did You Hoodoo Me” kicks of with crunch and power, a deep bluesy vocal acting as a New Orleans-inspired booming siren call. It is a proper introduction to this old-school, classic blues rock album. Like fine wine, this disc just improves with age; it’s solid at first listen, but the attention to detail helps this collection dig its tentacles in like smoke from an old blues club filters its way through the seams and into the lining of your leather jacket. It’s loud, smelly, and worth the time to fully enjoy. My other favorite track, closer to the middle of the collection, is “Guitar Slinger,” another crunchy guitar-driven, unforgivingly ploddingly advancing blues rocker, perhaps a bit George Thorogood-esque but with more fancy ’70s rock fretwork in some of the guitar runs. Those selections betray my preferences, though. If you’re more of a “Sweet Home Chicago” meets the Fabulous Thunderbirds kind of music fan, you might prefer “Vintage Man.” And the songs “Living on the Bayou” and “Memphis Blues” are additional standout tracks, each illustrating the source of its own particular blues roots in its song title. “Standing in a Doorway” is a blues-soaked version of what might otherwise be a Dire Straits tune but crunchier and deeper vocalled. And the album ends with a suitable closing blues number, “Thunder, Lightning, and Rain,” a song that includes plenty of street cred-establishing jams, a bar-closing, “you don’t have to go home but you can’t stay here”-worthy spoken-blues delivery and noisy slow fade leading to an abrupt end. I’m glad I gave this album a few listens. Its music starts off solid and grows on you by the sixth or eighth listen, a classic blues-rock album delivered by a talented veteran crew that really knows what it’s doing. Witchy Feelin’ is a welcome addition to my music collection; it’s a comfortable old-school disc I know I’ll reach for when in a specific mood for years to come. 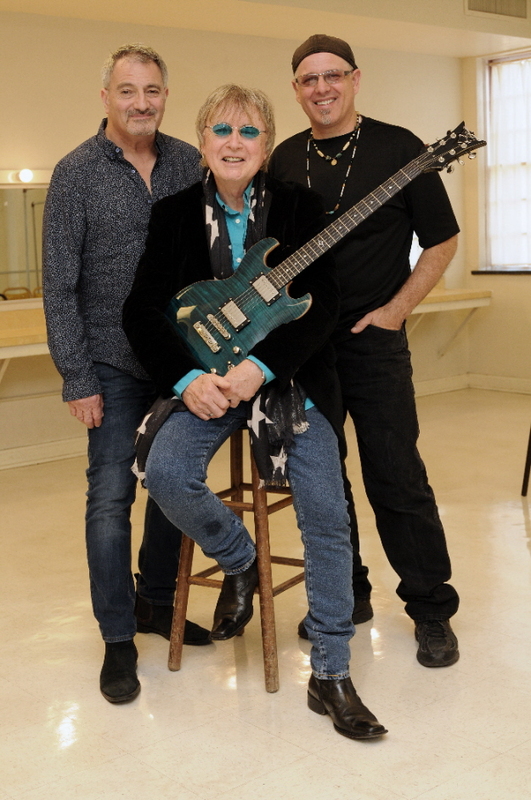 Per the “tour dates” page of the band’s website, Savoy Brown is, indeed, on the road. You can see them November 17th at Rams Head On Stage in Annapolis, MD; November 18th at the Sellersville Theater in Sellersville, PA; November 25th at The Montage Music Hall in Rochester, NY; November 26th at the Sportsmen’s Tavern in Buffalo, NY; December 1st and 2nd at Iridium Jazz Club in New York, NY; December 8th at The Upper Room in Albany, NY; December 15th at The Bull Run in Shirley, MA; and December 16th at Daryl’s House in Pawling, NY. Go to the band’s website for additional details and more live dates as they are added. 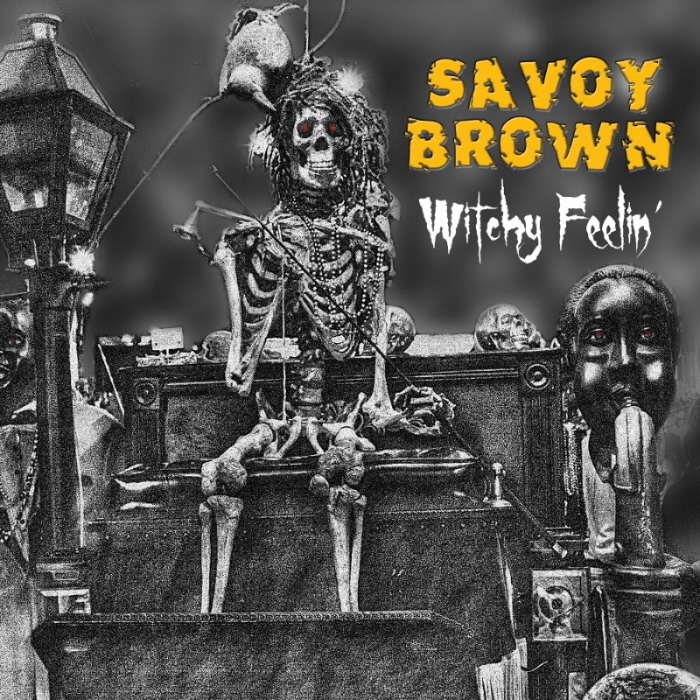 This entry was posted in Album Reviews and tagged Album Review, Geoff Wilbur, Savoy Brown. Bookmark the permalink.